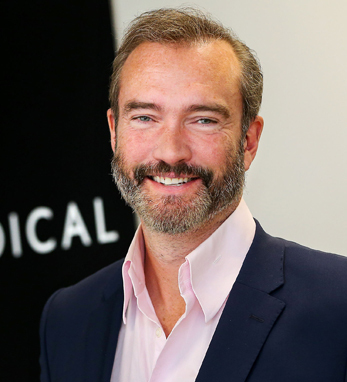 John Moore is the founder and chief executive officer of 3D4Medical, a global developer of medical applications and the 2016 winner of the celebrated Apple Design and Innovation Award. Headquartered in Dublin, 3D4Medical was founded without any venture capital and, in addition to Ireland, now has offices in the U.S., Russia, and Poland. John was also a finalist for the Ernst and Young Entrepreneur of the Year Award this year. John, whose father was the first Irish person to get a scholarship to the Massachusetts Institute of Technology, studied for a B.Sc. in pure mathematics from Trinity College Dublin, where he lives with his wife, Tatiana, and sons, John Jr. and Michael.